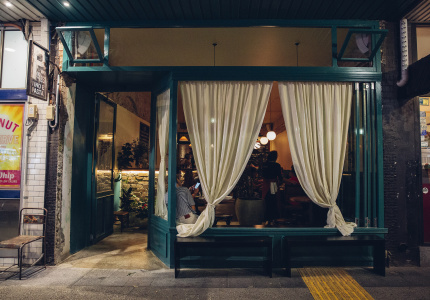 Mexican food has been on a slow ascent in Sydney for some time, but with a commitment to the traditional flavours of Central Mexico, Roca stands out. 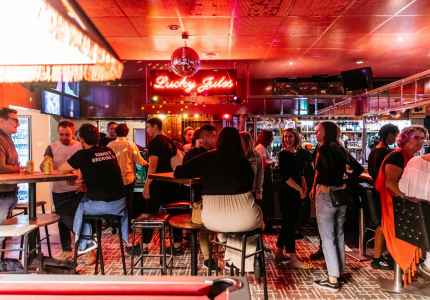 Just a stone’s throw from Coogee’s waves, Roca is owner Gerardo Macip’s third Mexican restaurant in Sydney, after Calaveras in Newtown and the now-closed, upscale Agave in Surry Hills. Macip grew up in Mexico City and Puebla, in central Mexico. These regional flavours are the ones you will find on the menu at Roca – no burritos or Tex-Mex in sight. Roca serves traditional guacamole (no sour cream) and his chefs make their five house salsas from imported, dried chillies. For cheese, Macip sources queso fresco (a creamy, un-aged white cheese) and quesillo (a stringy, soft variety). 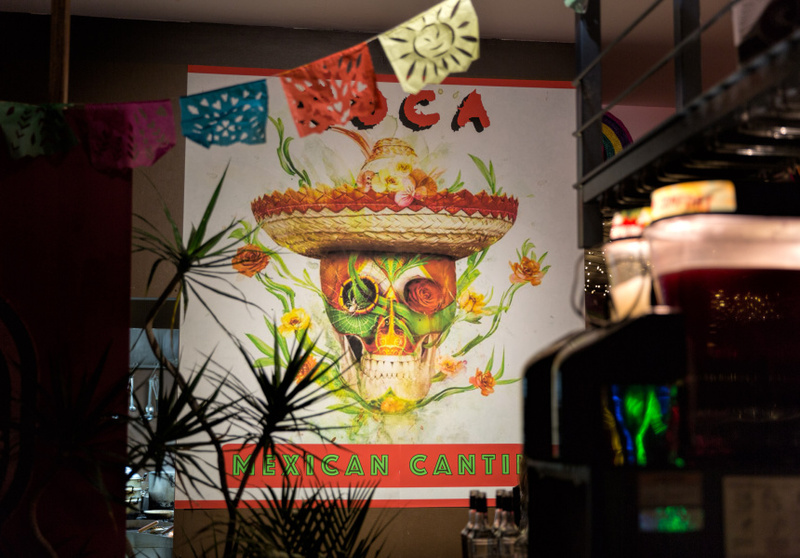 Even the 60 colourful ceramic skulls that line the walls of Roca are imported from Mexico. 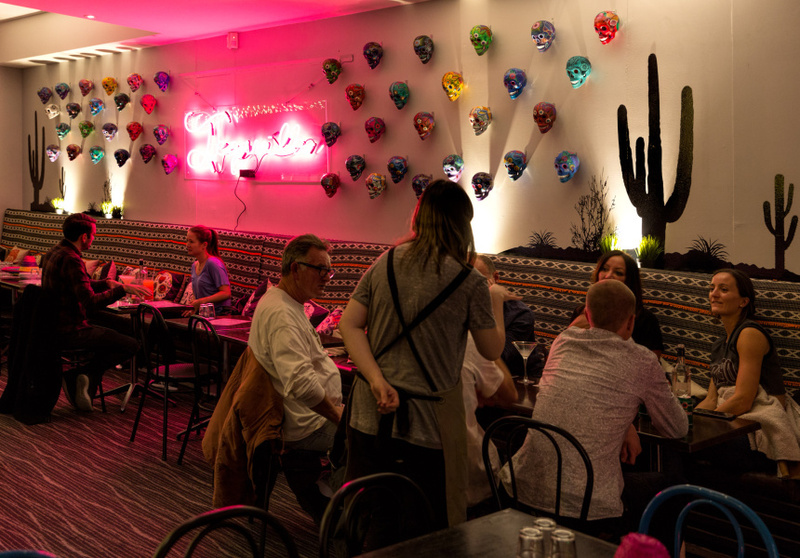 They frame a pink neon “tequila” sign and anchor the cantina’s colourful Día de Muertos theme. 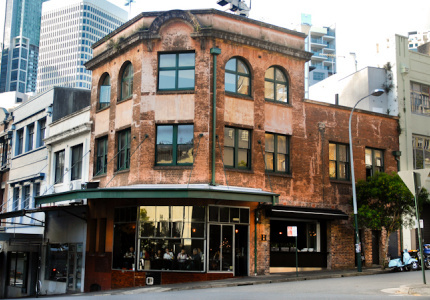 Macip sources his tortillas from Melbourne’s lauded La Tortilleria. Here, they’re made using a traditional nixtamel process that sees freshly harvested corn kernel soaked in lime before being turned into masa (maize flour). 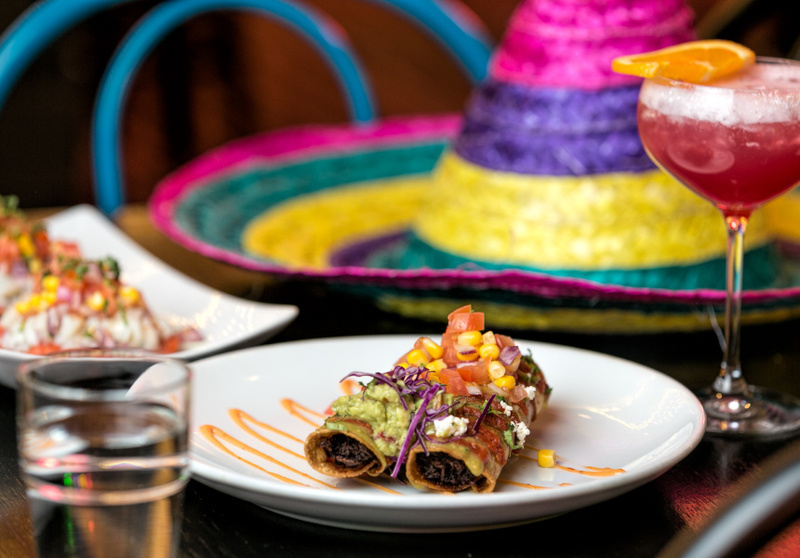 Alongside classics (fajitas, quesadillas, enchiladas and tacos), Roca’s menu also includes ceviche, chicken flautas (a rolled up, crispy tortilla wrap) and queso fundido (a cheese fondue served with chorizo and pinto beans). Tellingly, there are more empty Margarita glasses behind the bar than there are wine glasses. Customers can choose from a broad selection of Margaritas and a selection of mezcal cocktails. For those who want to venture a little deeper into Mexican liquor, Roca has an extensive stock of tequilas and mezcals, all of which are 100 per cent agave (which can’t be said for the likes of Jose Cuervo). There is a wine list that includes Australian, Spanish and Argentinian labels and there’s a selection of Mexican beers.